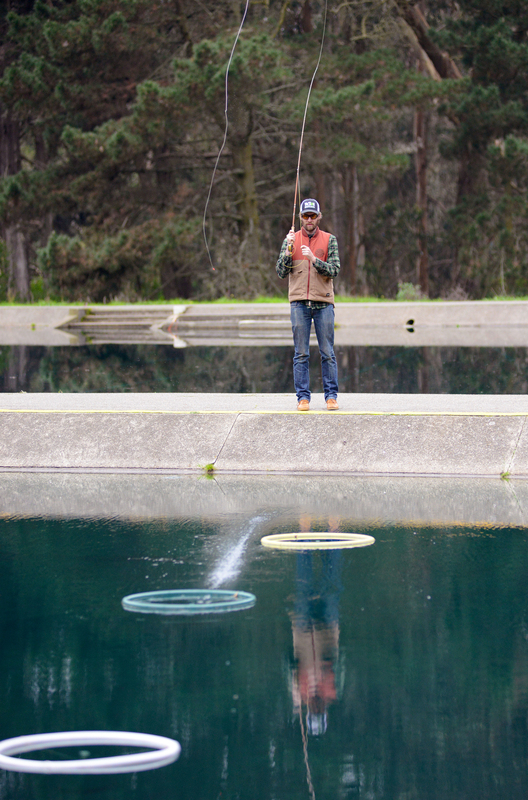 Ben Miller practices fly casting at the casting pools of the Golden Gate Angling and Casting Club in Golden Gate Park in San Francisco, Ca. on Tuesday, December 13, 2016. Miller, who said he’s lived in the city for ten years and just recently found out about the casting pools a month earlier, is now a member of the club, which gives free casting lessons to its members and opens its pools to the public for practice. Photo by David Andrews.